The market for sit-in and takeaway coffee is highly competitive, but demand is enormous and growing. The question is: why should people choose to drink at your coffee shop – or mobile kiosk – when there’s a huge range of options on the high street? The most obvious element of a successful coffee shop is – you guessed it – the quality of the coffee itself. Five Senses director of coffee Jacob Ibarra told Good Food that discerning consumers will “focus on the country [of origin], or the processing." However, so sophisticated is the sector becoming in sourcing coffee that some buyers have narrowed their focus beyond single origin (country) down to single farm lots. Known as microlots, these are often chosen because they push “the boundaries with their processing methods,” wrote Good Food. All of this will impact on costs of course, but don’t be too preoccupied about undercutting the competition. "If I am selling a coffee for $4 and you sell one for $2, consumers might go, 'Well, why is that guy's [coffee] so cheap? I don't want to risk my tastebuds for a cheap coffee'," Wayne Fowler of the Cappuccino Price Index told ABC News. No country has a greater reputation than Australia for embracing innovation when it comes to making coffee. There’s a dizzying range of kit on the market so research carefully before you commit to an upgrade. ProductReview.com.au has numerous reviews of countless coffee machines. Interestingly, Australia is unique in that high-volume independent cafes don't tend to buy coffee-making equipment. Instead, they rent it from coffee bean suppliers for a three-to-five-year contract. If you’re a franchisee then be mindful that many franchisors now buy their machines or request that franchisees do so. Before buying a franchise, it’s worth establishing the process in this regard. It could be an additional cost for which you hadn't accounted. You’ll also need personable, skilled baristas to operate your high-spec coffee maker. Reputations are won and lost on the quality of staff. 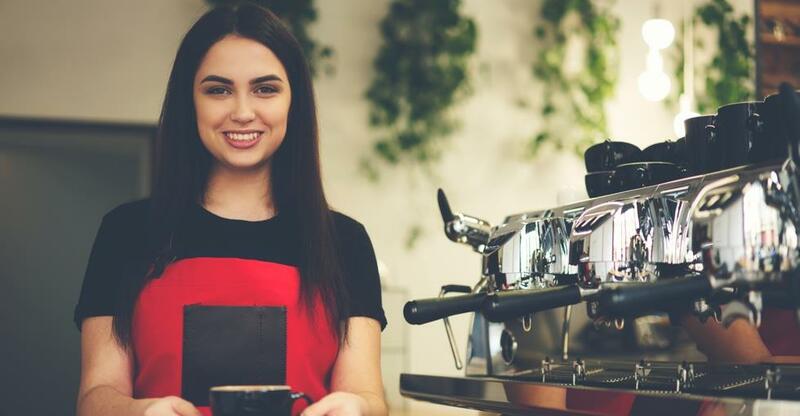 Staff turnover in the coffee shop sector is high, so think carefully about incentivising good staff to stay – both pay and perks – but in ways that are financially sustainable. Word of mouth counts for a lot where coffee shops are concerned. Use social media to spread the love even further – Instagram is a particularly useful tool in this sector. Hiring the wrong manager is one of the most commonly cited regrets by struggling proprietors – a risk reduced not just by careful recruitment but by being a hands-on owner. Once you own multiple units of course, the latter solution becomes unsustainable. Commuters. The best place to be, obviously, is next to a transport hub, while your main business will be takeaway coffee. Your focus is on a small window of time in the morning, so you need to turn orders round rapidly to maximise sales. Workers. City workers tend to pick up coffee en route to the office or grab one in between mid-morning meetings – so again, quick service is paramount. An added consideration is providing a quiet, comfortable space for business meetings. Brunchers and lunchers. This group will come in at the weekend as well as midweek. They’ll linger with friends, often having more than one cup of coffee. Are you willing to open weekends? Can you enhance or introduce food options (you may not have kitchen facilities)? Weekday crowd. Often mums and dads with babies and toddlers. Are you a welcoming spot for kids? Perhaps you could provide a dedicated corner with toys and games. You might also want to think about a few extra touches like providing free wifi and newspapers and magazines. The franchisor will assign you rights to a specific geographic area, within which you must find premises with the optimum balance of size, affordability and footfall. Your franchisors should help you find a location – some will do more than others – and might even use software that maps demographic data onto your territory. Otherwise, your state government can probably provide demographic and economic data. Obviously, you should check out promising sites in person, gauging foot and vehicular traffic, local competition and parking provision. Also, Google the area for news of any regeneration on the horizon that might affect future takings. It’s worth asking your franchisor about the profile of their typical customer when looking at demographic data. The franchisor should also provide help in furnishing your premises, acquiring relevant licenses and everything else necessary to open for business. The price of this support – other than fees and royalties – are constraints on how you run the business – notably over branding, uniforms, decor and the menu. But following a winning, albeit rigid, formula was surely – or should have been – a major motivation for opting for franchising in the first place. But your attitude, decision-making and personal attributes are still important – hence some franchisees perform better than others. Follow the franchisor’s instructions faithfully, but use your initiative where permitted. If in doubt, ask your franchisor if something is allowed by the franchise agreement – and don’t be afraid to make suggestions for improvements to the business model. Head office may already run state-wide or national promotions like loyalty cards, but feel free to pitch – or implement, where the franchise agreement permits – your own ideas. And never, ever be too proud to ask for help – otherwise you’re eschewing one of franchising’s greatest benefits. Van-based coffee franchises either service and refill machines within workplaces or dispense coffee at outdoor events or outside offices. This is where training and support from the franchisor can be a godsend – freeing you up to “concentrate on locating prime sites that are going to provide you the highest returns possible”, as Xpresso Delight puts it in its brochure. Your talent for finding the best spots to pitch up could make or break you as a mobile coffee franchisee. “As well as the exclusive territory given, covering a wide area of industrial areas, for the Monday to Friday business, you are also encouraged to attend events within your local and wider community, of which there are no boundary restrictions,” says the marketing collateral for the Xpresso franchise. Find out how to buy a coffee shop if you haven’t yet bought a business. And browse our coffee shops and coffee franchise resales for sale. Or you can browse new coffee franchise opportunities.